Canadian Prime Minister Justin Trudeau has become the latest person to lend his voice to the chorus of high-profile figures supporting US net neutrality. Known as net neutrality, it prohibited internet service providers from potentially cornering parts of the digital world and charging extra fees. For example, instead of standard broadband speed, providers could soon offer variations on quality, and charge customers accordingly. Earlier this year Facebook founder Mark Zuckerberg outlined his support for maintaining the status quo, as did the Internet Association, an umbrella group of tech companies including Amazon, Microsoft and Google. Speaking at an affordable housing strategy in Toronto, Canadian PM Trudeau was pushed on his net neutrality stance. “I am very concerned about the attacks on net neutrality,” he told reporters. “Net neutrality is something that is essential for small businesses [and] for consumers. It’s essential to keep the freedom associated with the internet alive. 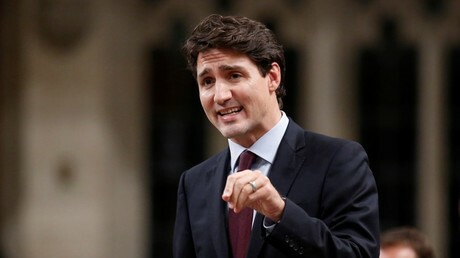 Asked whether he would try to influence US counterpart Donald Trump on the matter, Trudeau sidestepped the question by expressing his concern at developments in Canada’s neighbor. “Like many people we are just absorbing the position the president has taken and looking at the impacts it’s going to have on the US and in Canada. I know there are an awful lot of people concerned about this and you can count me as one of them,” he said. The FCC position is that current legislation limits the freedom of internet companies, arguing that red tape is hampering investment in online service. FCC chairman Ajit Pai described the current situation as “burdensome” on both consumers and businesses. “If the current rules are left in place, millions of Americans who are on the wrong side of the digital divide would have to wait years to get more broadband,” he said in a Wall Street Journal opinion article this week. Meanwhile, as fears grow over online freedom in the US, wanted file-sharing magnate Kim Dotcom has proposed developing an alternative internet within the next five years. Referring to IP address free MegaNet, Dotcom said the idea will make “our dream of true internet freedom” a reality.